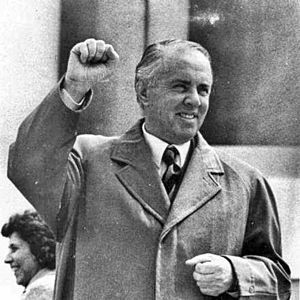 Enver Halil Hoxha (Albanian pronunciation: [ɛnˈvɛɾ ˈhɔdʒa] ( listen); 16 October 1908 – 11 April 1985) was the communist dictator of Albania from 1944 until his death in 1985. 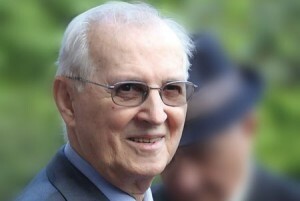 His title was First Secretary of the Party of Labour of Albania. Hoxha was born in Gjirokastër, a city in southern Albania (then under the Ottoman Empire) that has been home to many prominent families. 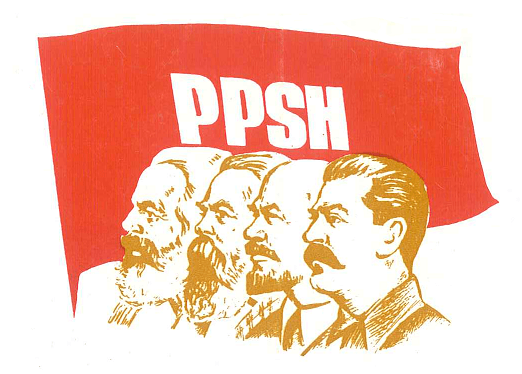 He was the son of Halil Hoxha, a Bektashi Tosk cloth merchant who traveled widely across Europe and the United States and Gjylihan (Gjylo) Hoxha. He was raised a member of a wealthy Muslim family of landowners and merchants. He went to the best schools in Albania in the 1920s. He was given one of the few scholarships to a foreign college. In 1931 he attended the University of Montpellier in France. He lost his scholarship in 1934 for poor performance and moved to Paris. 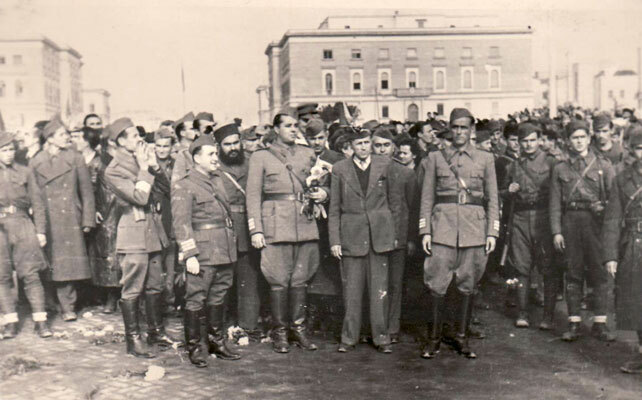 Near the end of World War II he became the Prime Minister of Albania. 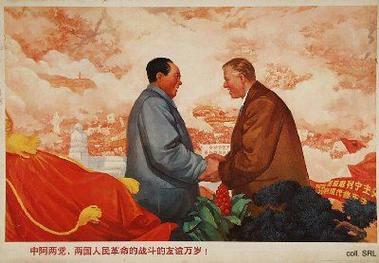 A Cultural Revolution poster promoting Albanian-Chinese cooperation featuring Hoxha and Mao. The caption at the bottom reads, "Long live the great union between the Parties of Albania and China!" 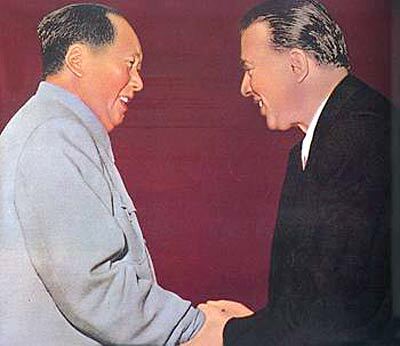 Despite what the painting may suggest, the two leaders met only twice—in 1956 during Hoxha's visit to China, and in 1957 at the Moscow meeting of communist and workers' parties—before the Sino-Albanian alliance. Propaganda billboard (photographed in 1978) stating that The fatherland is defended by all of the people. 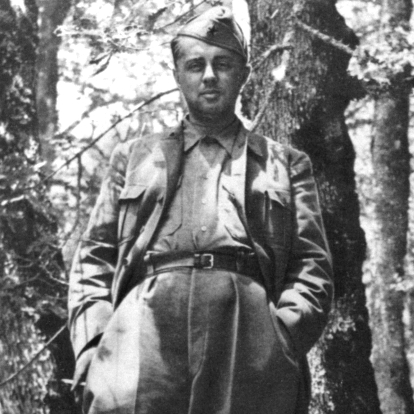 Enver Hoxha Facts for Kids. Kiddle Encyclopedia.